In looking at new clubs for 2017, or anytime for that matter, I try to keep one fundamental question in mind: Will this new piece of equipment improve my game? There’s always the curiosity factor – everybody likes shiny new toys. And all new clubs feel great too. You can put that down to new grips – they have to feel better than the worn grips on your old clubs. But after a quick look and maybe even a test, it all comes down to better performance. TaylorMade Golf, makers of the No. 1 Driver in Golf and the winningest drivers on the PGA TOUR in 2016 with its M family of drivers, have pushed the boundaries of golf club engineering with the next generation of M metalwoods, highlighted by the new M1and M2 drivers, fairways and hybrids. In 2017, TaylorMade is elevating performance once again by focusing on materials and geometry designed to deliver improved launch conditions, increased personalization and more forgiveness for every golfer, answering the challenge to once again design the best-performing drivers in company history. That’s a lot to take in. Will it deliver better performance for you? The first iterations of the M1 driver were exceptionally well received and gained a lot of favourable press on various professional tours. The 2017 versions have pushed the envelope even further resulting in a driver that should be easier to hit, longer off the tee, more forgiving and provide the tinkerers with more personalization. Here’s how Brian Bazzel, Senior Director of Product Creation for Metalwoods describes the new M1 driver. TaylorMade engineers changed the material composition of the M1 driver, which reduced the overall weight of the club and they used that savings to improve the range of options on the T-track movable weight system, resulting in greater adjustability for a draw-fade bias; then they increased the overall footprint of the driver, resulting in more forgiveness on mis-hits; and changed the geometry to move the centre of gravity closer to the centre of the face, making for a “hotter” face and better ball speed at all impact locations. I tested the M1 driver in Florida and hit it on average 5-10 yards longer than my R15. 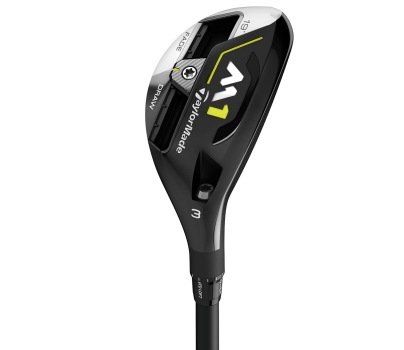 Two models of the M1 driver are available – a 460 cc version as described above and a 440 cc model that is slightly smaller, has a deeper face and even more movable weight. 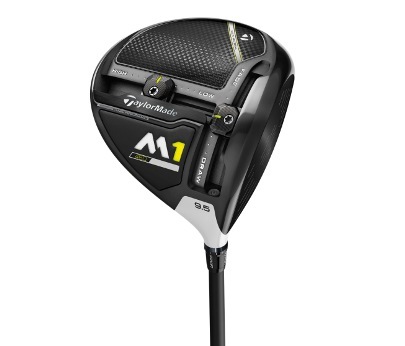 Similar to the M1 driver, the M1 Fairway utilizes improvements in material technology to reduce weight and re-engineer it to garner improved performance. The 2017 models includes a sliding weight system but the real reason that people will gravitate to this new fairway metal is a new open channel Speed Pocket, designed to deliver more distance through increased speed and lower spin, as well as more forgiveness for shots struck low on the face. It’s longer and more forgiving. What more do you want? M1 Fairways are available in 15° (3), 17° (3HL) and19° (5) loft options at $399. The M1 Hybrids, or Rescues as TaylorMade likes to call them, also feature a sliding weight system, the first ever in a club this size. 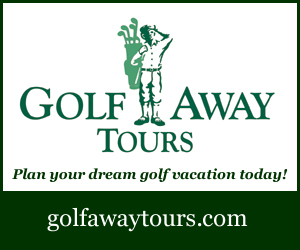 That degree of adjustability adds a draw bias that wasn’t available on earlier versions. M1 Rescues are available in 17° (2), 19° (3), 21° (4) and 24° (5) lofts at $299. TaylorMade’s designers have pioneered something called Geocoustic, which combines geometry with acoustic engineering in the 2017 M2 driver. 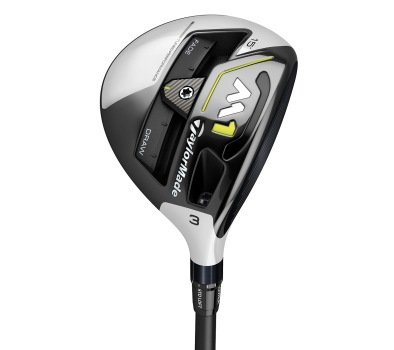 The result is a slightly larger head that makes the club appear more forgiving and feel more forgiving at impact. The M2 also gets a Speed Pocket that is three times more flexible than its predecessor. This is the #1 selling driver on the market for a reason and it just got better. As noted in the opening preamble I’m not much of a gear head so all of the adjustability advantages of the M1 are lost on me. I like to “set it and forget it” as they say in some commercial for another product. I also tested the M2 in Florida recently and after a bit of fine-tuning was adding 5-10 yards more than the M1 and 10-15 yards more than my R15. That’s substantial and more than enough reason to make a switch. 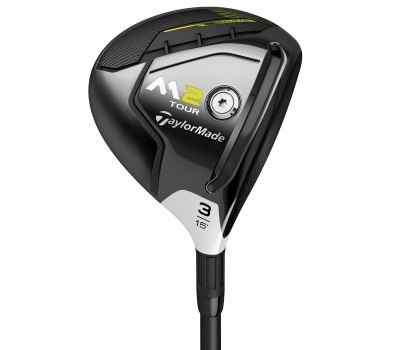 In addition to the standard model, TaylorMade is also offering a higher-launching, more draw-biased model of the M2, the M2 D-Type, to help players who consistently fight a fade or slice trajectory. 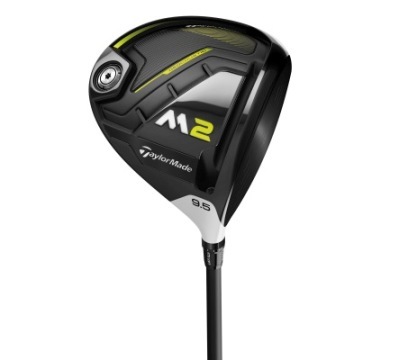 The M2 driver will be offered in 9.5°, 10.5° & 12° loft options at $529. These fairway metals follow on the heels of what RocketBallz did for the category – they’re longer, launch higher and are more forgiving than any other metal wood on the market. As a personal note, two years ago I was playing TaylorMade AeroBurner fairway metals and quite liked them. Then TaylorMade convinced me to try the M2 5-metal. I hit it consistently 10-15 yards longer than my AreoBurner 3-metal and hit it much higher. By switching to the M2, I was able to ditch both the AeroBurners and add another Rescue club, which filled an awkward yardage gap. 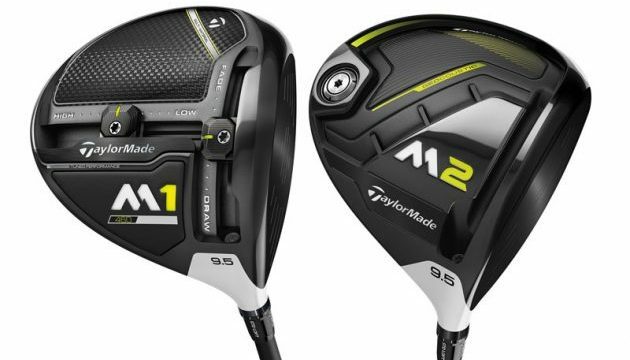 The new, more forgiving M2 fairway takes from some of TaylorMade’s highest-performing and most successful products in its lineage in becoming the company’s next great fairway wood. 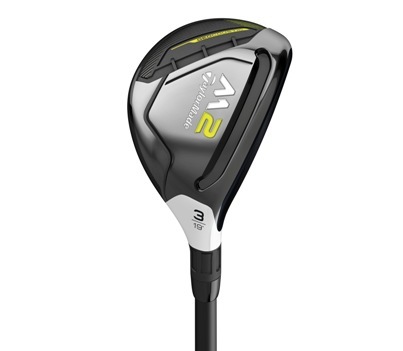 The M2 Fairway will be offered in 15° (3), 16.5° (3HL) & 18° (5), 21° (5HL) and 24° (7HL) loft options at $329. This set of rescues is designed to help average golfers get the ball in the air faster and hit it longer. The low profile, improved Speed Pocket and Geocoustic sole design accomplish that and more. Some clubs inherently inspire confidence – just holding an M2 rescue does exactly that – it makes you believe you’re going to hit a great shot. The M2 Rescue will be offered in 19° (3), 22° (4), 25° (5) and 28° (6) lofts at $249. One final note on the new TaylorMade clubs: there are many head, shaft, loft and grip options available and spending a few minutes at the TaylorMade Performance Lab in Concord or at Glen Abbey will ensure you get the expert assistance you need to find clubs that are precisely suited for you and your game.